For most of Anna Allen’s teenage years, the now-25-year-old member of the Shoshone-Bannock tribe was homeless, avoiding an abusive father while her mother was in rehab for alcoholism. She slept under the Burnside Bridge, stole food, and sold drugs to survive. By her junior year, she had dropped out of high school. At 16, Allen and her mother began working with the Native American Youth and Family Center (called NAYA), a Northeast Portland organization that provides free meals, bus tickets, social events, and education for Native American families. “I had never received support services and didn’t even know that a place like NAYA existed,” says Allen. When she was 17, Allen returned to night school to earn her GED with NAYA’s help. Seven years later, she was selected for Oregon LEAD, NAYA’s yearlong program to develop leaders in indigenous communities. After she graduated in June, she became lead development coordinator for NAYA. FOR MUCH OF HER YOUTH, Pamela Butler had little control over her world. Her mentally ill mother and stepfather carted her around the country until the Oregon Department of Human Services removed her from their custody and put her into Oregon’s foster-care system at age 7. Over the next 11 years, she lived in eight different homes, enduring not only abuse but the feeling, endemic to the system, of utter powerlessness. “Getting legislation passed in Salem is an arduous process,” says Chip Shields, a state senator who sponsored an OFYC-backed bill this year to create a foster youth “bill of rights.” “Pamela brought together Oregon’s most vulnerable population and empowered them with the tools they need to advocate for themselves.”The anxiety Butler felt growing up helps explain the potency to which she brings to her work today. 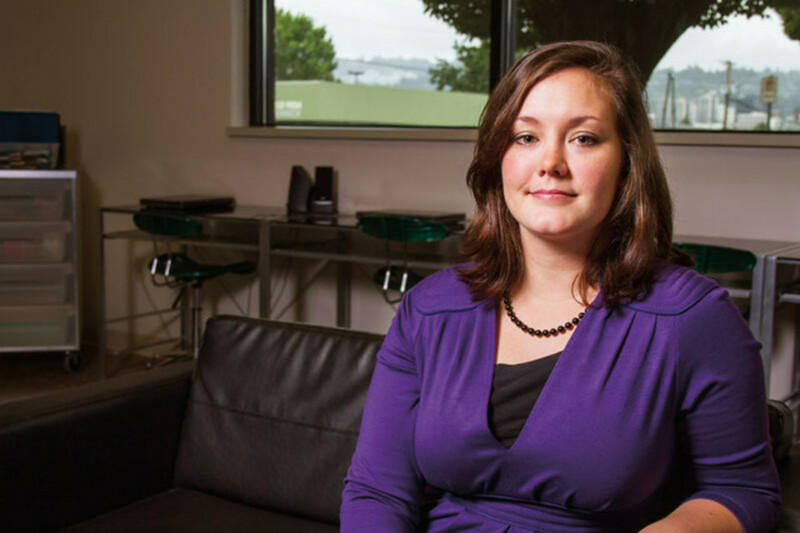 As the director of Oregon Foster Youth Connection, a program of the child-advocacy nonprofit Children First for Oregon, Butler leads foster youth in lobbying for child-welfare reforms at the state legislature. Since founding the program in 2008, Butler and her crusaders-in-training have scored a perfect record: four out of four bills. These have not been small asks: in 2011, for instance, OFYC pushed through legislation allowing foster-care alumni to attend state colleges for free. Butler is also pushing child-welfare reform beyond Salem, collaborating with Oregon’s senators on federal issues and working on national committees. The erstwhile ward of the state hasn’t, however, forgotten where she came from—and wouldn’t want to. THE YOUNG, an old adage claims, are the leaders of tomorrow. Alex Horsey, for one, isn’t waiting. 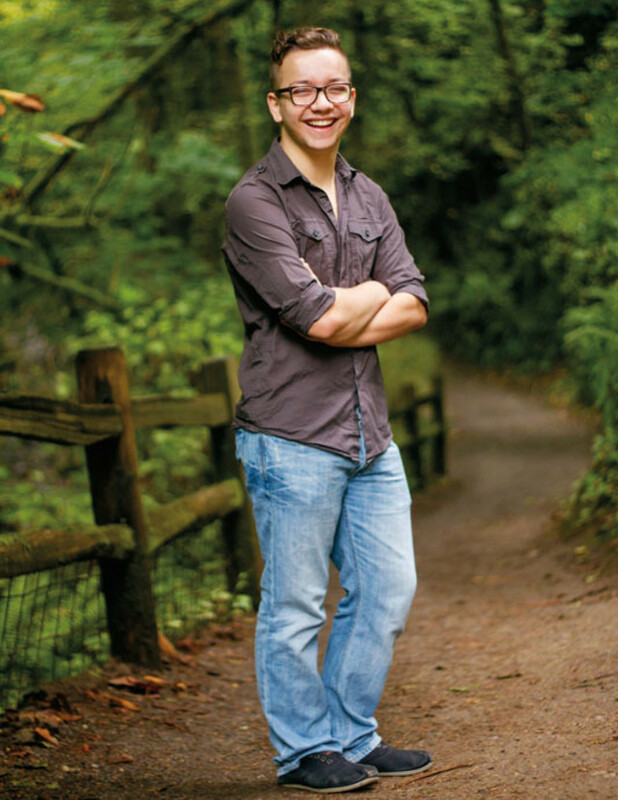 The 2013 Wilson High graduate has held board and leadership positions with groups ranging from Friends of Outdoor School to the Oregon Lutheran Youth Organization. As a high-school junior, he founded Project Believe in Me, an initiative that fights bullying and bullying-related suicide by, among other things, publishing open letters from former victims on its website. As he moves on to Portland State University to study community development, Horsey is working to keep high school students involved in Project Believe in Me leadership. “There’s so much change we can create right now,” he says. So Horsey created a website, printed fliers, and reached out to community groups and national partners. The letters he received from other bullied youth offer glimpses beyond the darkness. “Some days are going to be horrible, but ... there are people, near and far, who are waiting to love you,” one promises. “I was you. I am you,” says another. Only 34 percent of Native American students in Portland Public Schools graduate within four years. It’s a number that Matt Morton—board chair for the Native American Youth and Family Center, or NAYA, a 40-year-old advocacy and resource center for Portland’s nearly 38,000 Native Americans—takes personally. “When I come home to my wife and 10-month-old son,” says the Native American from the Squaxin Island Tribe, “I see the importance of my work and the impact it will have on the next generation.” Impact is exactly what Morton is determined to create. With the help of a committed board of directors, a talented staff, and a vibrant community, Morton is confident in his position as a strategist and community leader. “It’s not hard to feel empowered when your community is a part of the decision-making process,” says Morton, who participates in regular meetings with elders and other community members. “I’ll do anything it takes to give them what they need and deserve.” Anything it takes has proven to be a lot. In 2006, NAYA—which has seen its annual budget grow from $250,000 to $8 million in the past seven years—established a housing department that has provided opportunities for dozens of Native Americans to become homeowners. In addition, the center created a Summer Institute that offers high school students the chance to earn college credit by taking college-level courses. Today, 90 percent of students who complete the Summer Institute graduate from high school on time; 92 percent go on to college. Those are figures Morton should take personally, too.